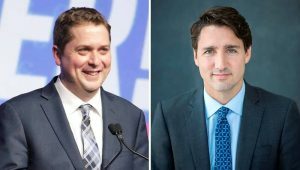 Andrew Scheer and Justin Trudeau. CONSERVATIVE Party Leader Andrew, after hearing the testimony of former Attorney General Jody Wilson-Raybould, on Wednesday called on Prime Minister Justin Trudeau to resign and demanded that the RCMP open an investigation. Scheer said in a statement: “Justin Trudeau simply cannot continue to govern this great nation now that Canadians know what he has done. That is why I am calling on Justin Trudeau to resign. Further, the RCMP must immediately open an investigation – if it has not already done so – into the numerous examples of obstruction of justice the former Attorney General detailed in her testimony. “I listened carefully to the testimony of the former Attorney General, and like Canadians, I was sickened and appalled by her story of inappropriate, and frankly illegal pressure brought to bear on her by the highest officials of Justin Trudeau’s government. All to let a Liberal-connected corporation off the hook on corruption charges. 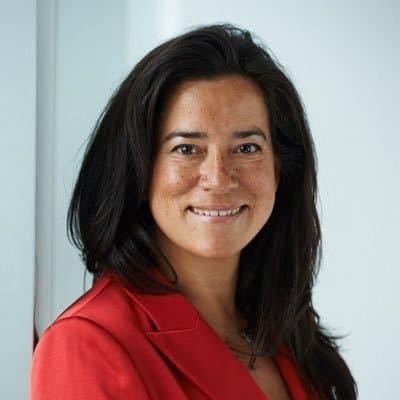 “Before Ms. Wilson-Raybould’s testimony, Canadians knew Justin Trudeau had engineered an unwanted, sustained, and co-ordinated attempt to get Ms. Wilson-Raybould to change her mind and stop the criminal trial of SNC-Lavalin. Today, thanks to Ms. Wilson-Raybould’s testimony, we now know just how intense those efforts were: 10 meetings and 10 phone calls involving 11 senior government officials relentlessly targeting Ms. Wilson-Raybould over a four-month period – with the sole objective of bullying her into bending the law to benefit a well-connected corporation. “The details are as shocking as they are corrupt: multiple veiled threats to her job if she didn’t bow to their demands. Urgings to consider the consequences on election results and shareholder value above judicial due process. And reminders from Justin Trudeau to his Attorney General about his own electoral prospects should she allow SNC-Lavalin’s trial to proceed. “As Ms. Wilson-Raybould has so clearly articulated, the people Canadians entrusted to protect the integrity of our very nation were instead only protecting themselves and their friends. “Mr. Trudeau can no longer, in good standing and with a clear conscience, lead this great nation.